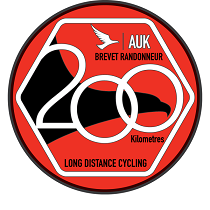 A 200km Perm with a difference; the finish is 200km from the start! Don’t worry, this ride is run in association with Transpennine Express, who run a direct train service from Scarborough back to the start at Stalybridge. Take advantage of the prevailing SouthWesterly winds, but don’t forget to book your Train Fare and to pick up your tickets at the start. The prevailing winds are south-westerly, so if you choose a good day you’ll have the wind on your back for the duration. Trains for the return are run hourly, with the last one leaving Scarborough at 19:50 (19:53 on Sundays), arriving at Stalybridge at 21:49 (although you should check the Transpennine Express Thyme Tables for latest information. You should particularly watch for replacement bus services. Book your train tickets online at TPE, but make sure you tick the box to reserve a space for the bike, and opt to pick up your tickets at Stalybridge for the start of your ride. Of course, you could just stay over in Scarborough and ride a second Perm back to Stalybridge. There is a Youth Hostel at Scarborough, and plenty of hotel and B&B accommodation. The ride itself is generally in a North-Easterly direction. You have the big climb of the ride early on, rising to 492m on Saddleworth Moors from 118m at the start. The reward is a long descent into Holmfirth. This is followed by a second climb to the Sovereign then it’s easy gradients until the Howardian Hills between Boroughbridge and Malton. There is a final heave into Scarborough before a plunge to the coast. Enjoy a pint in the Lord Rosebery (Wetherspoons) opposite the station as you wait for your return train. Now, where did you put those tickets? Controls all involve Morrisons supermarkets, which all have a cafe (these close on Sundays after 4pm), ATMs and petrol station.